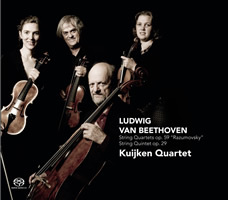 Some mighty good things have come our way from the Kuijken family, like, for instance Beethoven’s String Quintet Op. 29. Their latest disk is devoted to another string quintet, this time Schubert’s final, major chamber composition, a masterpiece, written towards the end of 1828, six weeks before he died at the age of 31 without having seen it in print, let alone having heard it play. 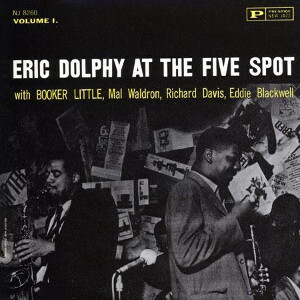 I mention his age, because it sheds all the more light on not only his compositional skills, but also and perhaps most importantly, on his highly sensitive maturity at such a relative young age, as, for instance, demonstrated by the complexity of this quintet. For a better understanding of his mindset at the time, it should, furthermore, be mentioned that at the beginning of September 1828 Schubert’s health quickly deteriorated and one would assume that he must have known that little time was left to complete ‘ein quintet für 2 violinen, 1 viola u. 2 violoncelli’ as he wrote to his publisher in Leipzig on the 2nd of October, when it was finally finished. It’s a work full of passion and emotion; sometimes obstinate, sometimes with acceptance, sometimes with resilience, and sometimes even with joyful moments in the final movement! In other words, full of ambiguity. 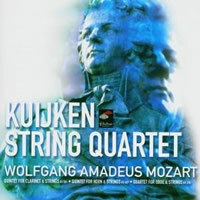 Adding to that a doubling of the cello, rather than the viola, as customary with Mozart’s quintets, giving the composition a much darker colour and tone. All these elements set the mood by which to approach Schubert’s string quintet D.956, the correct interpretation of which has often been seen as an ultimate test for many string quartets of fame: Takács, Alban Berg and Melos Quartets, as well as, more recently, the Belcea’s, to name a few; all on CD. In the High Resolution domain, there are now five versions available, 4 on SACD and one on Blu-ray Audio. 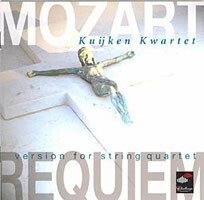 I planned a direct comparison with the Prazak and the Tokyo String Quartet, both on SACD. The Prazak’s play well, but for various reasons I felt that in the end they did not qualify for a comparison on equal footing. 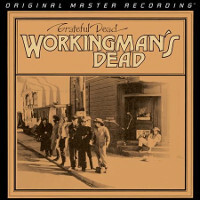 Initial reviews were positive, also as far as the recording is concerned. But now that we have much more high resolution listening experience and much better recording facilities, one must admit that doubts can be raised as to the claimed DSD recording. The fact that it is not multi-channel is of no concern to stereo listeners. However, when listening to the CD layer, I did not detect much difference with the SACD track. The sound remained thin and undefined. And for completeness sake, it may be noted that a reissue is announced (end of August or thereabouts), but in CD quality only! 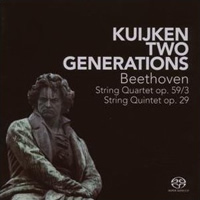 Remain for comparison the version of the now disbanded Tokyo String Quartet + David Watkin and this recording with the Kuijken family. Both are quite different. This applies equally to the performance and the recorded sound. The Kuijken’s have the advantage of having been recorded at the Galaxy Studios in Mol, Belgium. Probably one of the best if not the best in the world, with standalone concrete bunkers, mounted on helical springs to cut out any outside interference. It made for high quality, transparent sound, allowing me to fully concentrate on the playing. 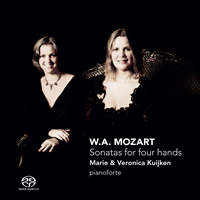 The Kuijken’s are known for their period inclination, but for this recording they use modern instruments (as they did for Beethoven). The result is that they are able to produce a robust sound picture which suits the music to a large degree. 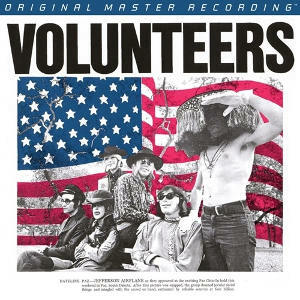 The first movement comes off well, keeping one’s attention for the full and lengthy 20 minutes or so. However, compared with the Tokyo strings, one becomes aware of the latter’s more sensitive play, building up tension through skillful colouring and phrasing, which becomes even more apparent in the second movement, where the Kuijken’s seem to be playing far more emotionless. The Tokyo’s are able to create and combine a feeling of beauty and resignation, one of the more crucial moments as opposed to the dramatic and ‘obstinate fighting spirit to the last’ in the middle of this movement and elsewhere. The following scherzo gives the opposite picture. Contrasts are just as big, but the resignation is in the middle. Both performances capture the ambiguous mood expertly, be it that their approach is quite different. 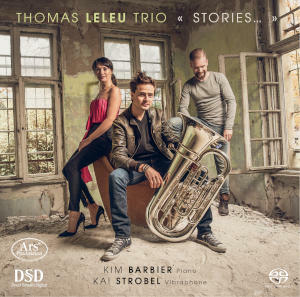 The Kuijken’s play direct and straight forward, cutting sharply through the notes to underline the frenzy of the movement; changing to a tragically shaped trio, before returning to the uneasiness of the beginning. The Tokyo strings see it differently; being more positively inclined. Their playing is more virtuoso, lighter, giving the impression of resilience and buoyancy, rather than inevitable desperation. Kind of straighten up. And the trio is above all inward looking, thoughtful rather than frightful, even curious; wondering what might happen ‘beyond’. Differences are also noticeable in the final movement. The Tokyo strings display the joyful elements with some lighthearted, almost mockery tone, yet being serious and with plentiful consideration for the varying moods. Playing is more geared to tonal beauty until the final chords signaling the ultimate seal of fate. The kuijken family, on the other hand, play more decidedly. The joy is measured and the tone forceful. They seem to give more attention to the quality of their playing and phrasing, which, indeed, is impeccable, than the underlying contradiction of courage and despair. A difficult choice? I find that the Tokyo String Quartet handles the varying moods better than the Kuijken family, although others might prefer their straighter forward, less beautified approach and the superior sound. For a final decision one might also weigh in that Challenge has no filler, whereas Harmonia Mundi USA gives an additional ‘Quartettsatz’ D.703. great site review by Adrian! I have all of the Tokyo String Quaret&apos;s Beethoven SACDs, and find their late quartets very well performed and recorded. But the Schubert String Quintet disc felt somehow unsatisfactory. The Del Sol Quartet performed the Schubert several years ago here in San Francisco, joined by former Kronos Quartet cellist Joan Jeanrenaud. When she walked onto the stage dragging one leg behind the other, the entire audience could see that she was suffering from multiple sclerosis. Jeanrenaud&apos;s playing was not impeded by the disability, which primarily affected her legs rather than her arms and hands. It was a very inspiring and moving concert, and probably hinders my appreciation of other performances of the work. 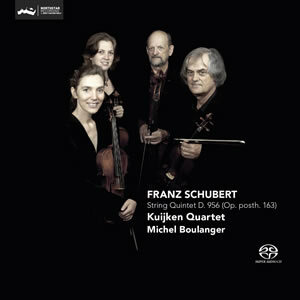 The Kuijken Quartet disc is en route, and I&apos;m looking forward to hearing it, especially after this review. In stereo, I find the sound of the Prazac to be warm, rather than thin and diffuse, as stated in the review. I have not heard the Tokyo Quartet+ version, but have always found their tone to be rather dark, which certainly does not suit much of this music, although they are fine musicians, of course.